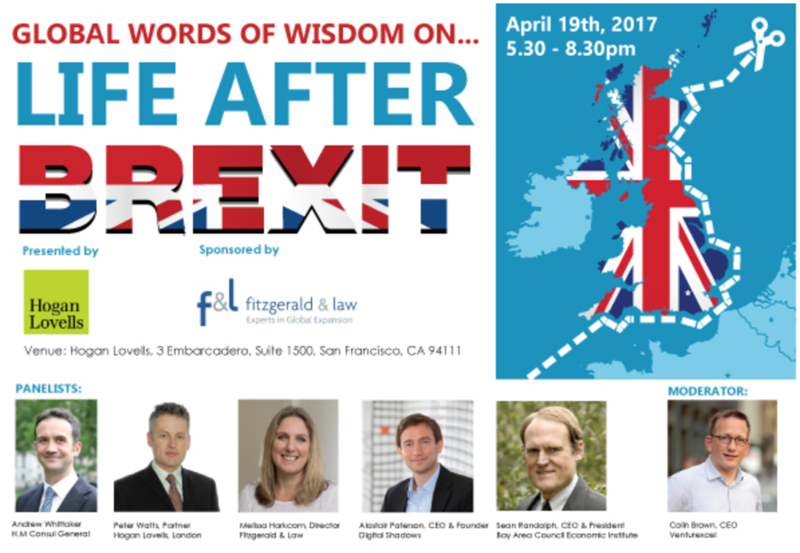 Join the British American Business Council of Northern California as they present an informative discussion on post Brexit life. Following the EU referendum in the UK, businesses are assessing what impact the triggering of Article 50 could have on their operations and relationships in the UK. With the impact of the recent US Presidential election, Brexit negotiations and elections across the European Union (EU) still to come, it’s becoming clearer as the ‘fog’ of Brexit lifts that significant opportunities exist to reinforce the US-UK trading relationship and reset the UK’s position as a leader of free trade and responsible globalization. While the UK economy weathered the initial shock of the Referendum, opinions are sharply divided over the long-term effects of leaving the EU. Please join the BABC alongside HM Consul General San Francisco, Andrew Whittaker, on Wednesday, April 19th to hear how the UK government intends to navigate Britain’s exit from the EU. Melissa Harkcom from International expansion experts, Fitzgerald & Law, will provide their view on the post-Brexit landscape for companies looking to enter the UK and Europe. Alastair Paterson, CEO and Founder of Digital Shadows will look at data security and how that will be impacted by the post BREXIT World. What can we learn from the recent US election result and Brexit? What does Britain's vote to leave the EU mean for US businesses already trading with the UK? How might Brexit affect plans to expand into the UK and Europe? Who are the players involved in the Brexit negotiation?